BOTSWANA Diamonds, the UK-listed exploration company, said it had attracted the investment interest of “a significant diamond producer” that would join it in the potential development of diamond properties held in its Sunland Joint Venture. This was after Russia’s state-owned Alrosa withdrew from the joint venture in line with its new strategy of focusing on production and marketing of minerals over early stage exploration efforts. John Teeling, chairman of Botswana Diamonds, said there could be no guarantees, however, regarding the investment. 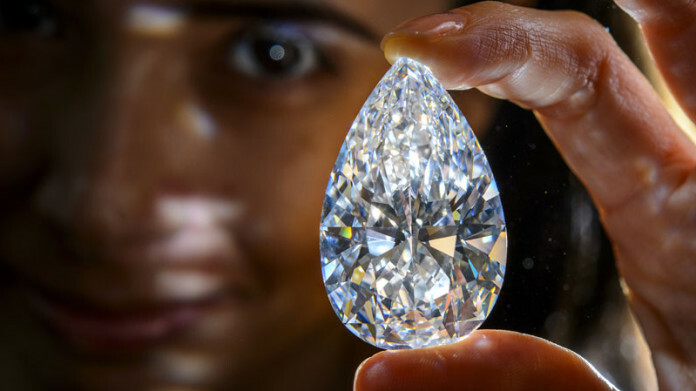 “Although no guarantees can be given at this stage, we are at an advanced stage of discussions with a significant diamond producer who has in place an experienced exploration team,” he said in a statement. “If talks are finalised, I would hope that some of the targets on Sunland ground in the Kalahari, identified in 2018, will be drilled in 2019. I look forward to providing our shareholders with further updates regarding the new partner in due course,” he said. If it presses the button, investor will buy a 50% stake in Sunland. Teeling said that whilst the process of Alrosa’s divestment was underway, it continued focused exploration in order to protect the exploration licences which are over kimberlites in Botswana’s Gope region of the Kalahari. Exploration could begin in the second half of 2019, he added. “We had no instant success, you rarely do in exploration, but progress had been made toward the target of a commercial discovery,” said Teeling in a statement. “For reasons unconnected with this acreage, new Alrosa management prioritised marketing over early stage exploration,” he said. Teeling added that a new investor had been brought in with a previous discovery at Karowe, a mine in Botswana now operated by Lucara Diamond Company. “We successfully replaced a partner, which then developed the Karowe mine. I believe energy is more important than scale in driving innovative exploration,” he said. Botswana Diamonds said on November 7 that its Thorny River prospect in South Africa would most likely become its first operating mine following conclusion of a mining contract which sees the company hand over control to the contractor. A processing target of up to 30,000 tons of kimberlite per month had been planned and diamonds will be recovered using a processing facility at a nearby diamond mine. Drilling on the project was set to begin in 2019, the company said. Previous articleExploration spend by world’s miners rises for second year in 2018 at nearly $10bn.